Pre-heat grill. 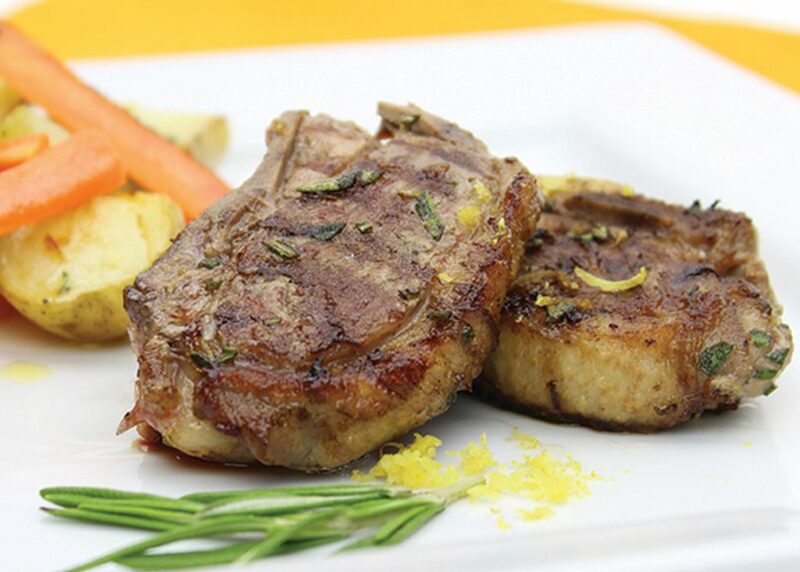 Remove duck chops from refrigerator 15 minutes before cooking. 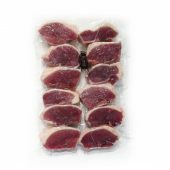 Remove from package and lay chops flat on a large plate or tray. Pat dry using paper towels. Season both sides with salt, black pepper, rosemary and lemon zest. Coat the chops very lightly with a little rendered duck fat or olive oil on the meat part only. Grill the chops by standing them up (they can lean a little) on the skin side. Then, grill chops on medium high heat for about 2 -3 minutes per side, with colour. * Finish cooking on low heat for the last few minutes. Remove from heat, sprinkle with a little fleur de sel if desired and serve. Serve with a salad of red and yellow bell peppers, chopped celery heart, Italian parsley leaves, shavings of Parmigiano Reggiano and a lemon juice, balsamic vinegar and white truffle oil dressing.